Update: Cavill's manager Dany Garcia has tweeted a statement saying "Be peaceful, the cape is still in his closet. @wbpictures has been and continues to be our partners as they evolve the DC Universe. Anticipate a WB statement later today." 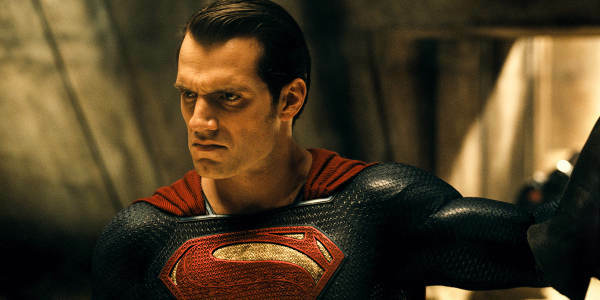 Update 2: Warner Bros has released a statement ""While no decisions have been made regarding any upcoming Superman films, we’ve always had great respect for and a great relationship with Henry Cavill, and that remains unchanged"
DC has lost another actor as Henry Cavill has reportedly left the Superman franchise. Hollywood Reporter has an explosive report that Henry Cavill has quit the franchise. He's played Clark Kent aka Superman in the Warner Bros films since 2013. They site the main reason is that WB wants to develop a solo Supergirl movie and the new timeline would require a younger actor to play Superman. 35-year-old Henry Cavill would be too old to play the young Kal-El in the movie. Apparently, the studio is looking to the James Bond franchise for inspiration with one source saying "Superman is like James Bond, and after a certain run you have to look at new actors." On Henry Cavill's side, while he's expressed his love of the role he's also been open about how he doesn't like the dark feel of the character's early days. Also, his solo Superman movie has been delayed over and over again. Unfortunately for DC Cinematic Universe fans, this throws the franchise into chaos. Cavill's leaving follows persistent rumors that Ben Affleck is hanging up his cape as Batman. Plus, Ray Fisher is reportedly angry about the way his role was cut in "Justice League" and is quitting as Cyborg (though he denies it). That leaves Jason Mamoa as Aquaman with his solo movie and Gal Gadot's Wonder Woman solo film. But with Ezra Miller's solo Flash movie in flux, he may choose to leave as well. It looks like most of the Justice league are quitting. So that's bad news for fans who've fallen in love with the actors. On the other hand, while Cavill definitely fit the look of Superman I always found his performance too cool and detached. So I'm looking forward to another actor in the role. One with the charisma of Christopher Reeve, Tom Welling or Dean Cain. Updated with a statement from Cavill's manager and Warner Bros.
Are you sorry Henry Cavill is leaving Superman?